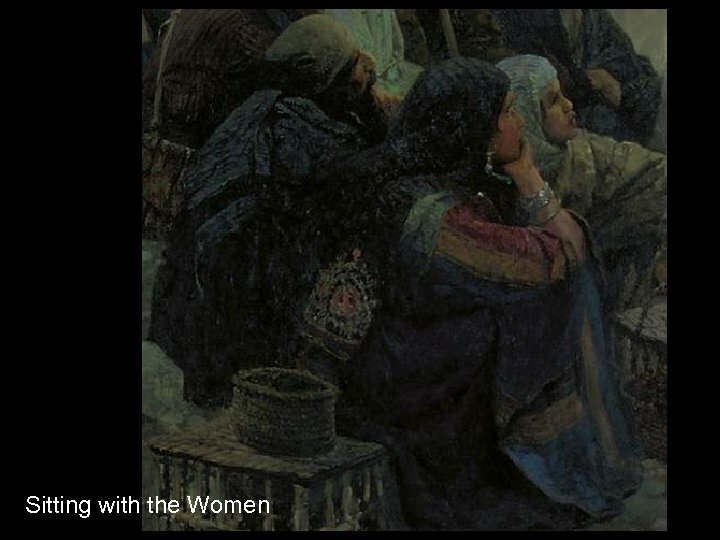 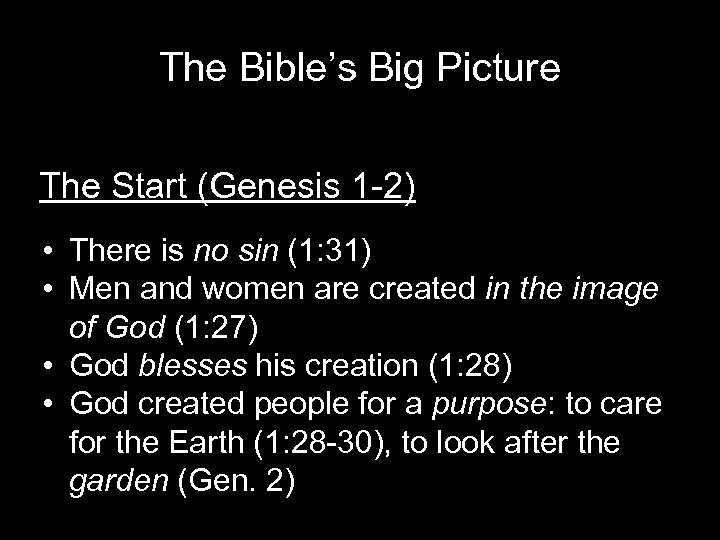 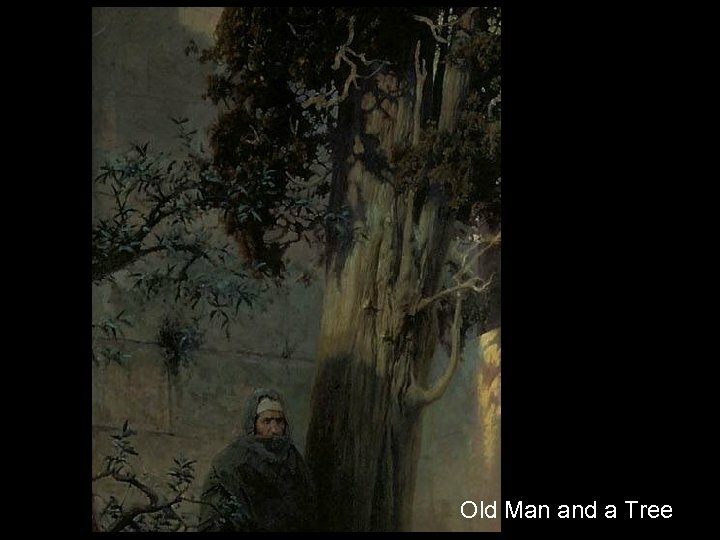 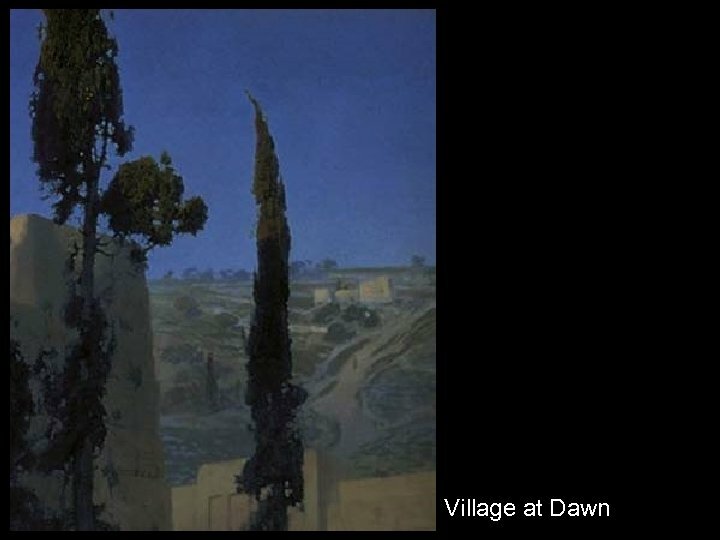 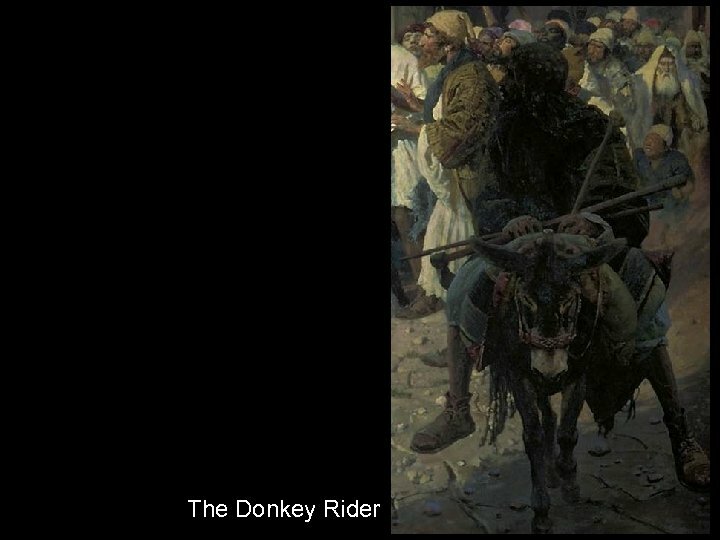 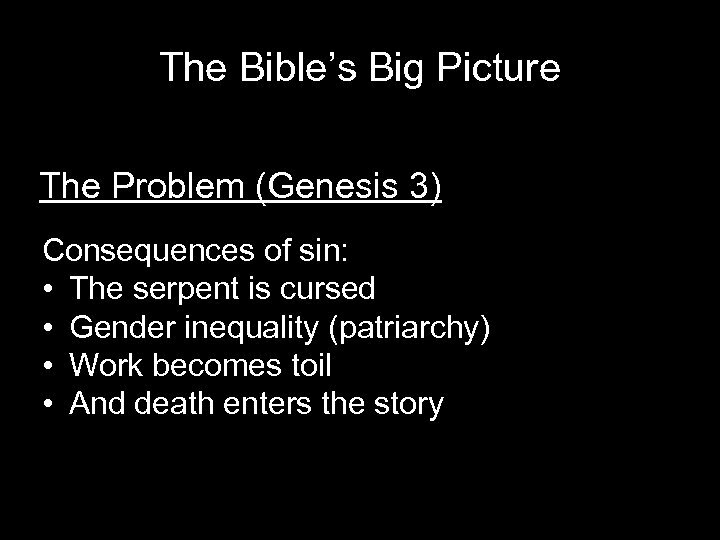 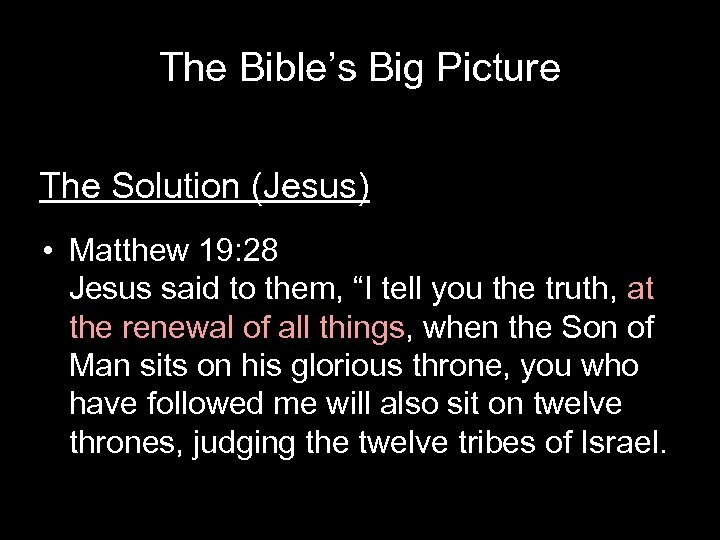 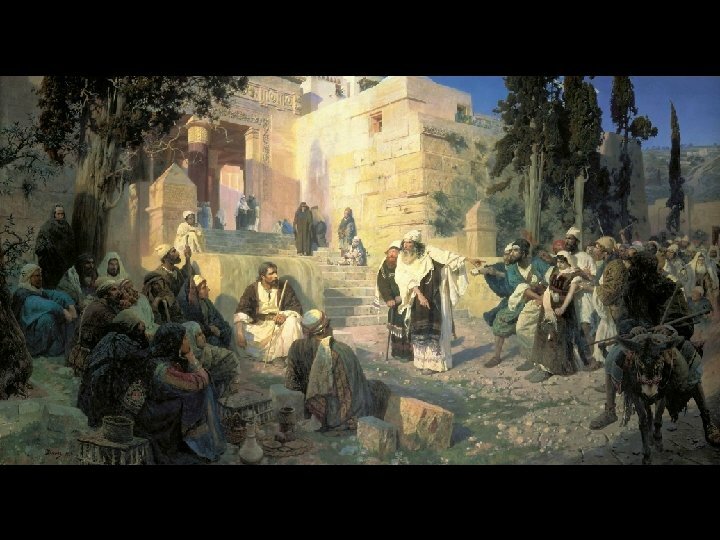 The Bible’s Big Picture The Solution (Jesus) • Matthew 19: 28 Jesus said to them, “I tell you the truth, at the renewal of all things, when the Son of Man sits on his glorious throne, you who have followed me will also sit on twelve thrones, judging the twelve tribes of Israel. 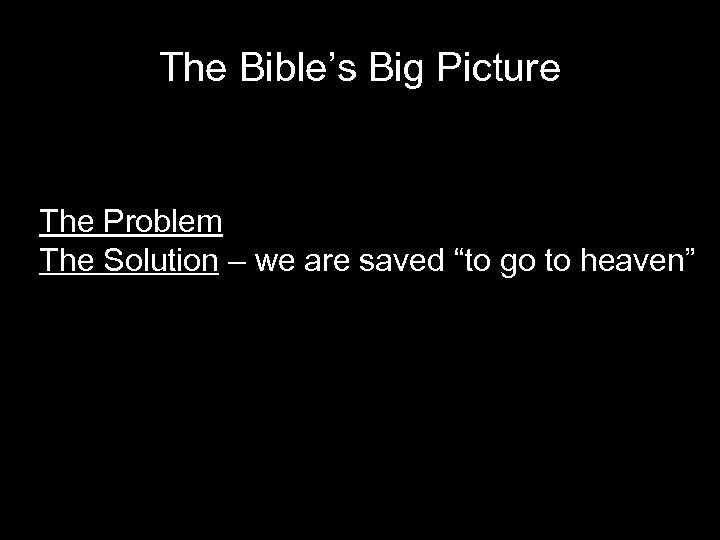 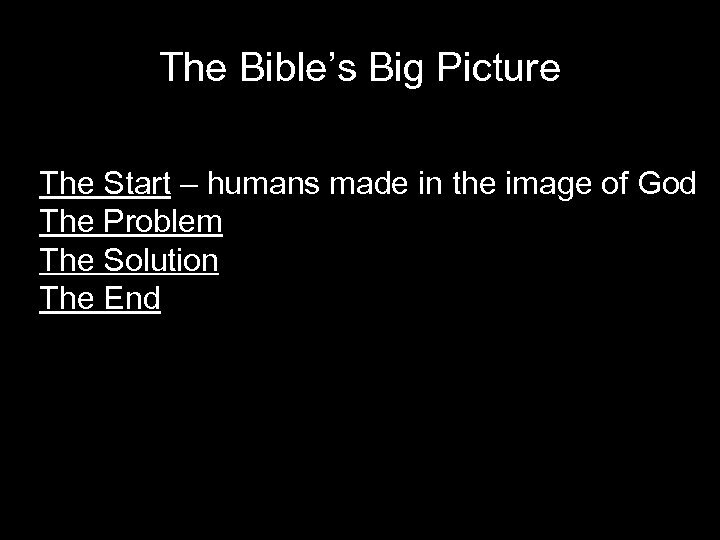 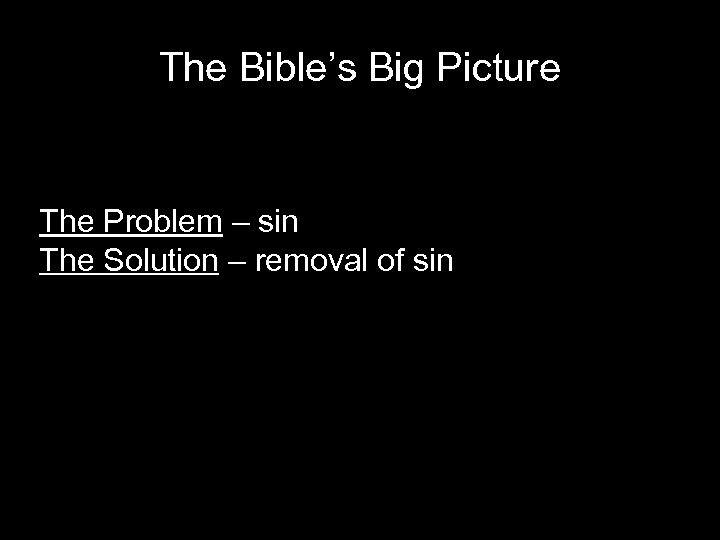 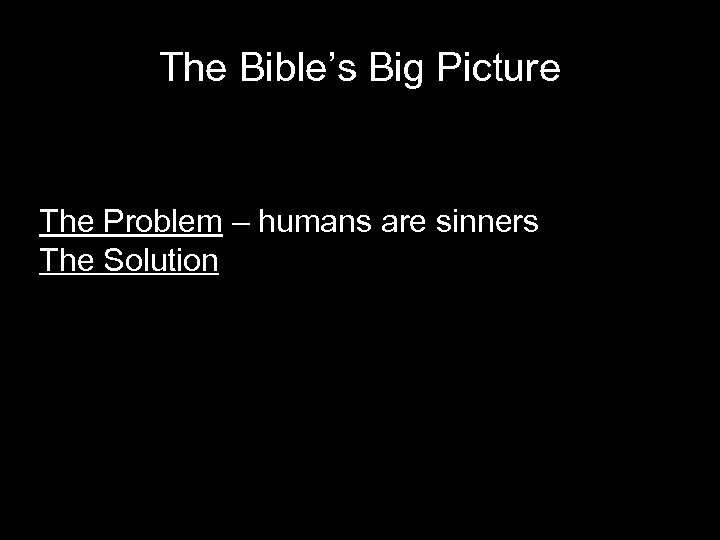 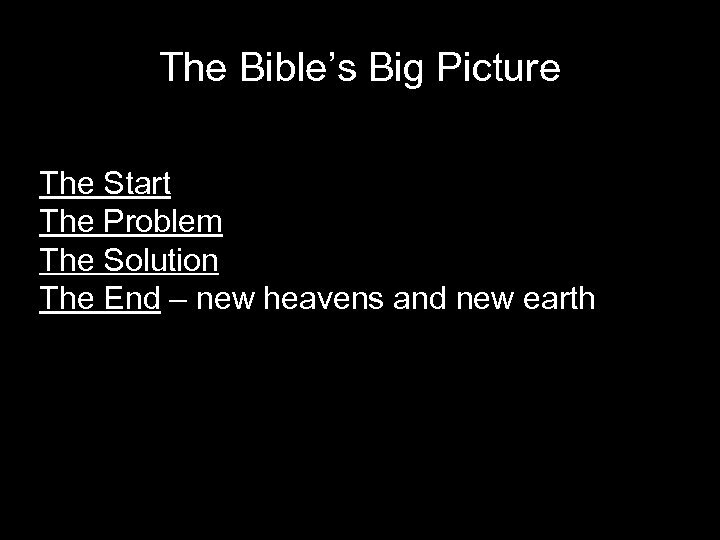 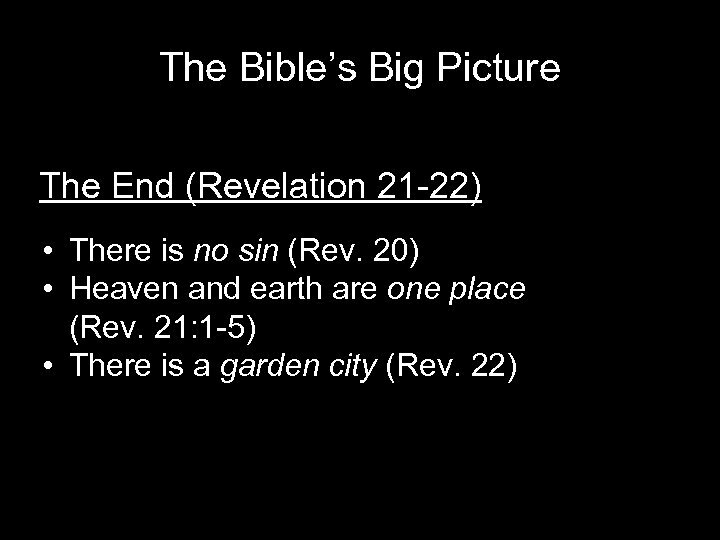 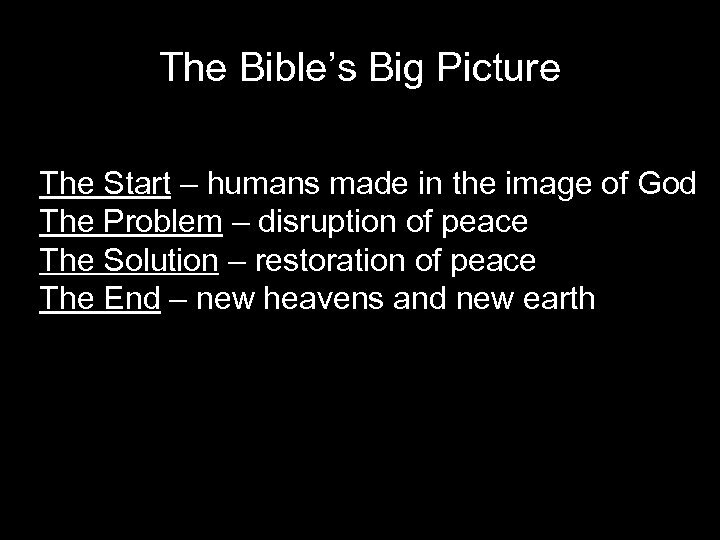 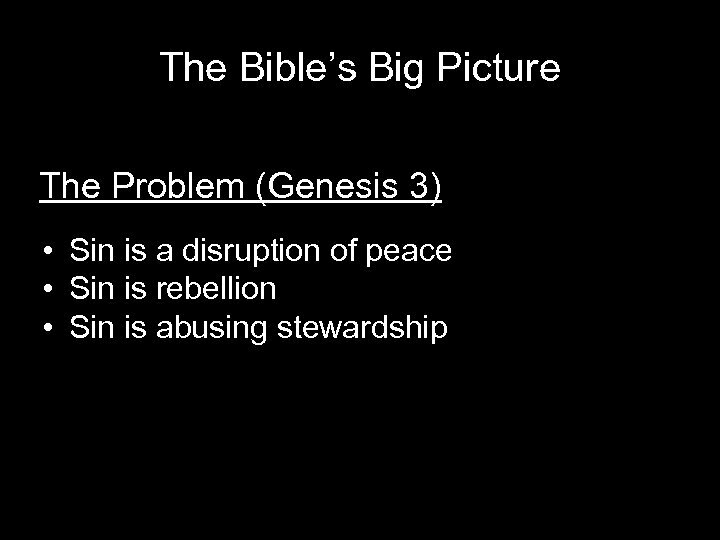 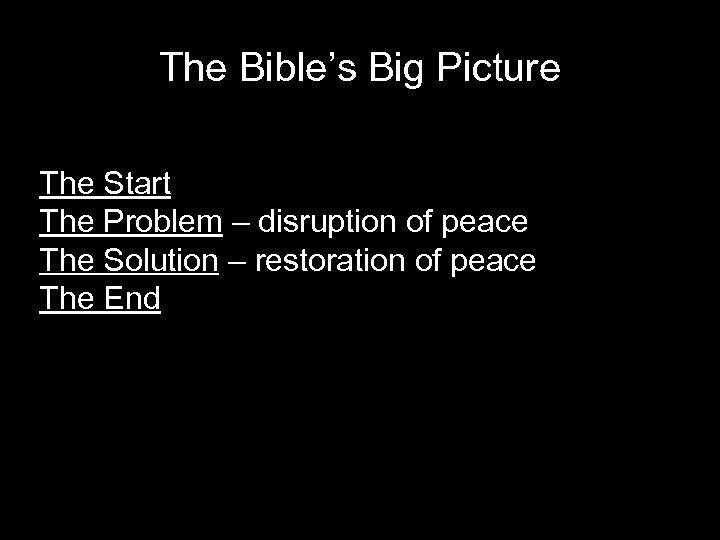 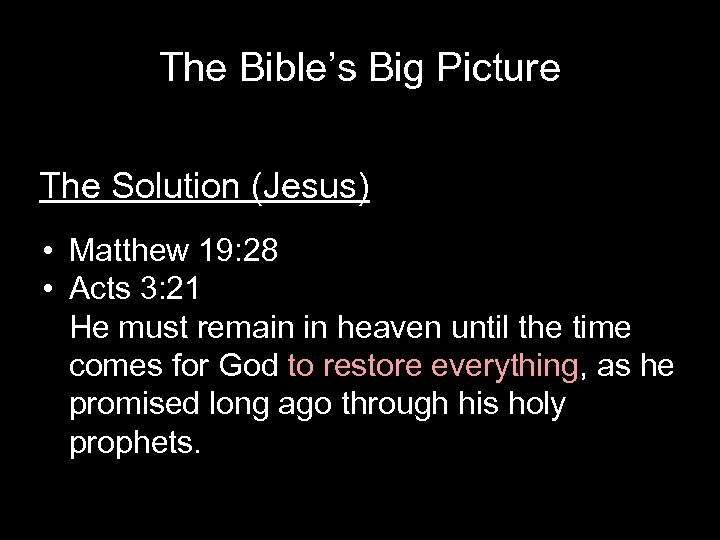 The Bible’s Big Picture The Solution (Jesus) • Matthew 19: 28 • Acts 3: 21 He must remain in heaven until the time comes for God to restore everything, as he promised long ago through his holy prophets. 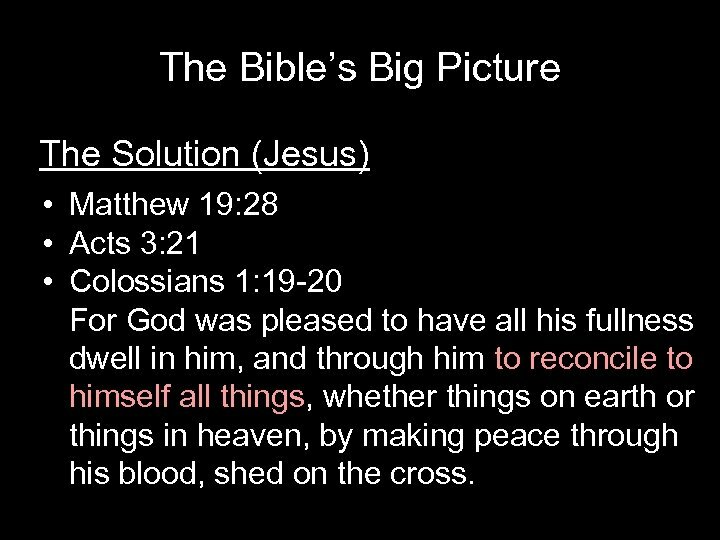 The Bible’s Big Picture The Solution (Jesus) • Matthew 19: 28 • Acts 3: 21 • Colossians 1: 19 -20 For God was pleased to have all his fullness dwell in him, and through him to reconcile to himself all things, whether things on earth or things in heaven, by making peace through his blood, shed on the cross.